wonderful, tasty meal of chewy delicious meat! the same rich vein of writers. Any that you could recommend? In an instant, I have exactly who to recommend on Daniel. First, and most accessible would be S.P. 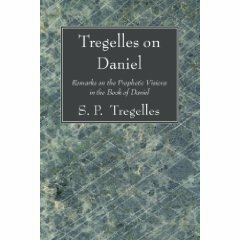 Tregelles’ “Remarks on the Prophetic Visions in the Book of Daniel,” available through Sovereign Grace Advent Testimony in Essex (on line at sgat.org). This entry was posted in Prophecy, Recommended Reading, The Last Days. Bookmark the permalink.